At Springs Family Dental, we know that choosing the right dentist for your family is a big decision. 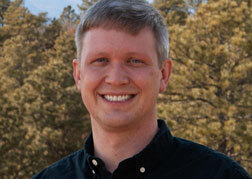 Dr. Terveen and our excellent team hope to build a long-lasting relationship with each one of our patients. Our entire dental team works diligently to offer the best dental care available to every person who walks through our doors. We offer specialized care tailored to each person’s individual needs. From simple cleanings to full dentures and everything in between, our Colorado Springs team is here to help you make the best choices for your dental care. Our practice offers comprehensive preventive care for the whole family. Regular cleanings in our office can make a huge difference in the way your teeth look and function. We recommend that you visit us every six months for a routine cleaning and check-up. This allows our team to find any potential issues before they become problems. Sometimes your smile doesn’t live up to your expectations, and when that happens, our Colorado Springs dental team can help! We offer in-office professional teeth whitening for anyone hoping to brighten their smile. Along with veneers and dental bonding, Springs Family Dental is sure to have what you’re looking for. We believe that each patient deserves to have the smile they want, and we work with you to help you achieve your goals. Our dental team knows that heading to the dentist isn’t many people’s idea of a good time, but we want you to know that we are here for you. 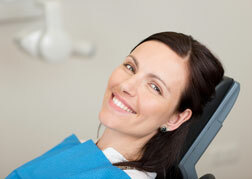 From fillings to emergency extractions, we will offer you the best individualized and gentle care possible. At Springs Family Dental, we offer a wealth of services for your whole family. 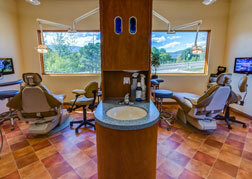 From baby’s first visit to great-grandma’s regular cleaning, our Colorado Springs dental office is the place to go. We know that it is important to find the right dentist for everyone in your family, and we also know that we can live up to your high expectations! You’re busy enough as it is, and we work hard to take the surprises and guesswork out of your dental care. When you’re at our office, you can kick back and relax and know that we’ve got it all handled! If you are ready to join our dental family, please give our Colorado Springs office a call at (719) 634-4805 to talk to a member of our team.